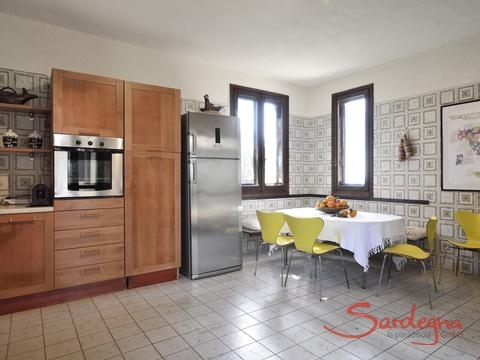 the house is situated on the slopes of the residence "Torre delle Stelle", in a quiet location, overlooking the sea. 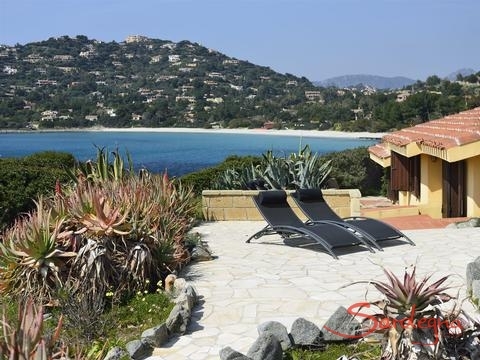 Immersed in a captivating Mediterranean landscape, between azure bays with white sand, rocks and bizarre granite formations you can enjoy fantastic views over the water and the hilly hinterland. From the private, Mediterranean garden, you can easily reach the rocky coast, ideal for diving and snorkelling. From here a 250 mt footpath along the sea takes the sporty ones to the white sandy beach of Genn'e Mari, who wants to be more comfortable takes the car. In high season, this beach is frequented by the residents of the neighboring villas, while it is almost completely empty in low season. Villa delle Stelle is a spacious home, unpretentious, it impresses with its secluded position on a tip of land offering privacy as well as breathtaking views of the sea: you are right between the sky and the sea. The villa faces south, towards the sea. It is nestled in a romantic garden left to its natural state with Mediterranean vegetation and olive trees which borders the sea on its outer edge. 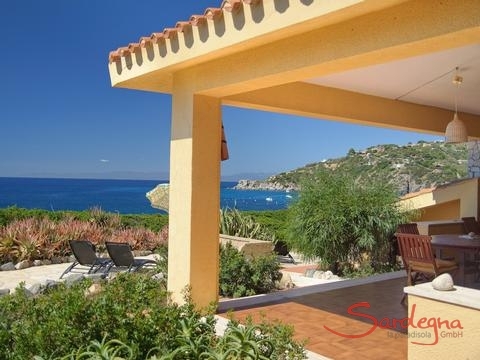 The covered terrace of the Villa becomes the central point of the Mediterranean lifestyle with a barbecue for grilling in the summer nights while enjoying the star sprinkled sky. 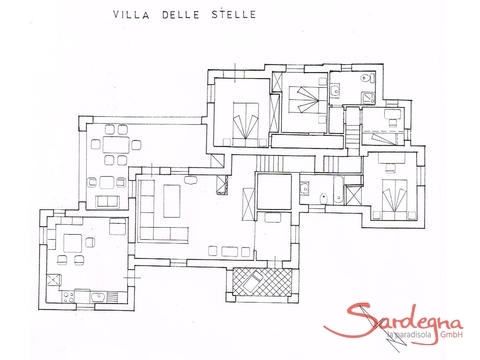 Villa delle Stelle has a surface of 130 square meters, divided into two levels. 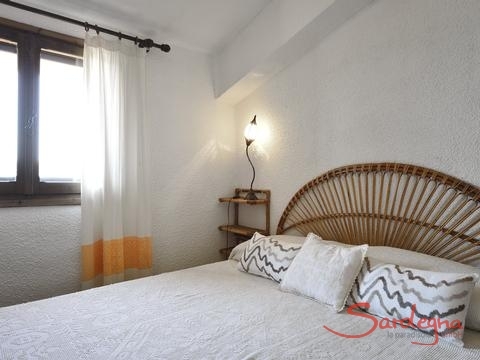 With two bathrooms, three double rooms and one single room it can host up to 7 people. 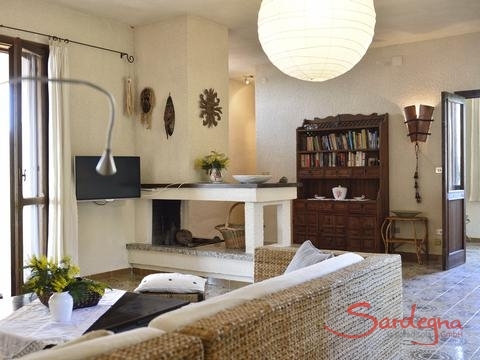 The large living room is equipped with comfortable furniture and a fireplace. The kitchen, spacious and well equipped has a dishwasher., also the washing machine is not missing. a small supermarket is just 1 km away, managed by Mrs. Palmira who still sells self made “fresh pasta". 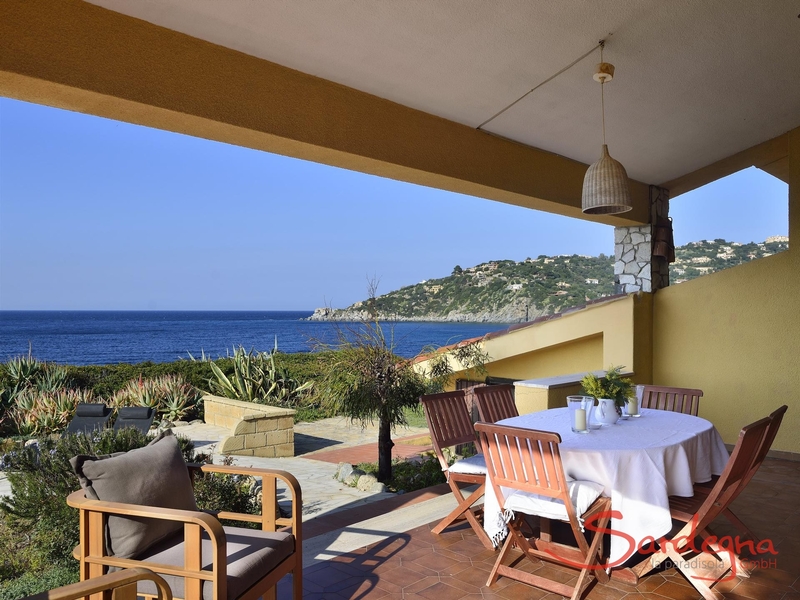 In Torre delle Stelle there is also a diving school reachable by foot and more than one restaurant. 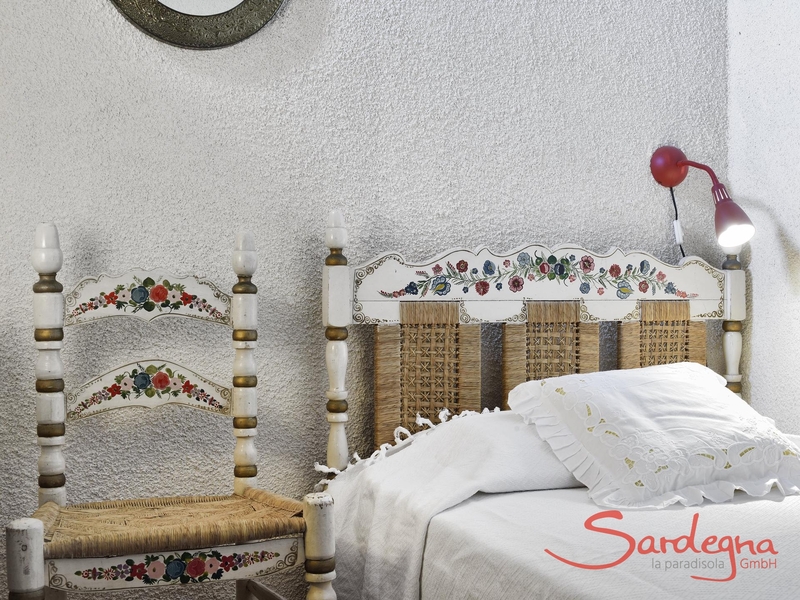 The nearest to you is "Il Saraceno", open all year. Cagliari, the capital of Sardinia is just “a jump” away (about 20 minute drive) and is worthwhile a visit, if not only for its excellent restaurants also for its famous Opera House, or one of the many museums and historical sights. In the nearby area, you can go hiking and there are many places to see, for example the beaches of Solanas, Porto Sa Ruxi and those of Costa Rei. A good way to explore the coast with its wonderful beaches is also by boat. You can find boat rentals in the harbour of Villasimius, a lively small village that deserves a visit with its numerous shops and boutiques . 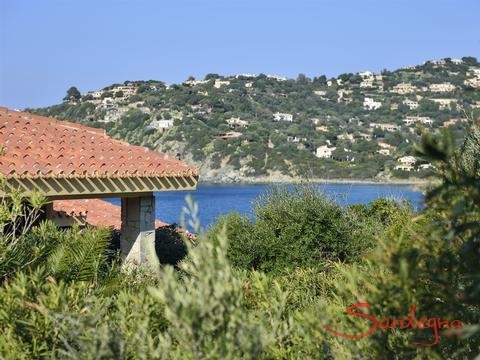 Villa delle Stelle - like a star between sea and skythe house is situated on the slopes of the residence "Torre delle Stelle", in a quiet location, overlooking the sea. 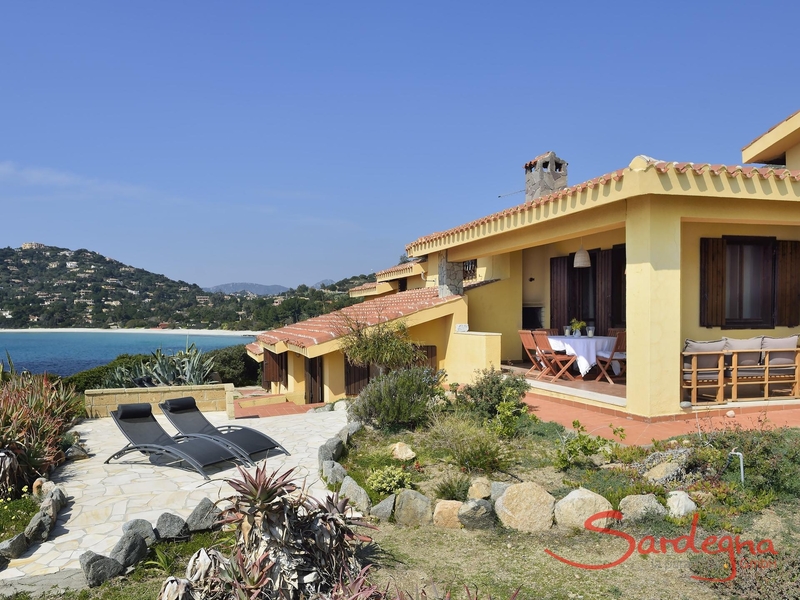 Immersed in a captivating Mediterranean landscape, between azure bays with white sand, rocks and bizarre granite formations you can enjoy fantastic views over the water and the hilly hinterland. 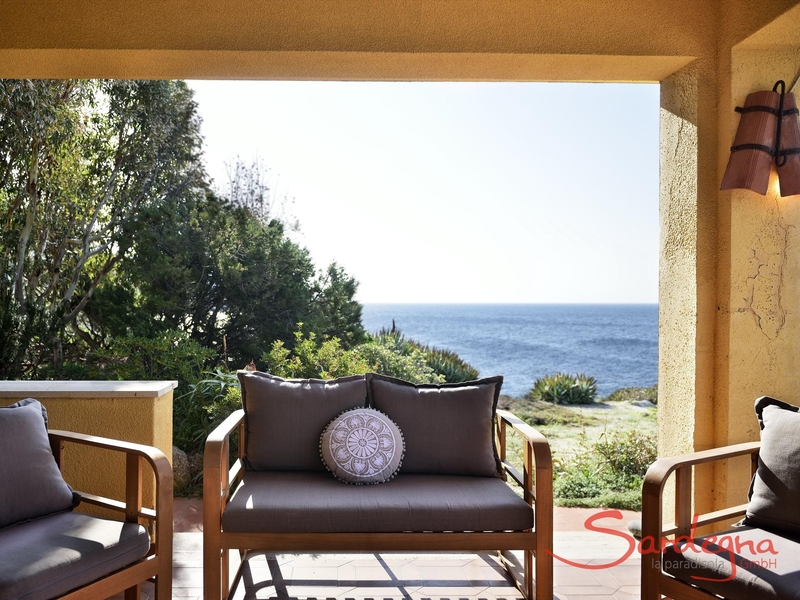 From the private, Mediterranean garden, you can easily reach the rocky coast, ideal for diving and snorkelling. From here a 250 mt footpath along the sea takes the sporty ones to the white sandy beach of Genn'e Mari, who wants to be more comfortable takes the car. 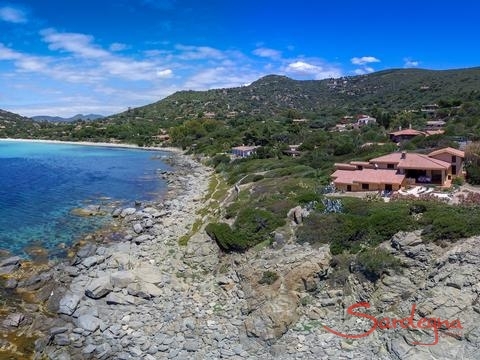 In high season, this beach is frequented by the residents of the neighboring villas, while it is almost completely empty in low season. Spacious Villa on extensive, shielded premises alongside the seaVilla delle Stelle is a spacious home, unpretentious, it impresses with its secluded position on a tip of land offering privacy as well as breathtaking views of the sea: you are right between the sky and the sea. 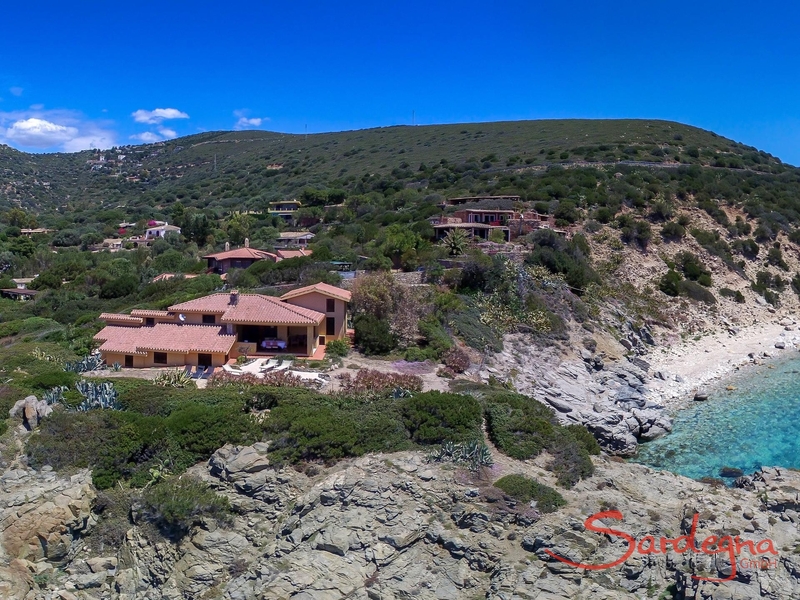 The villa faces south, towards the sea. 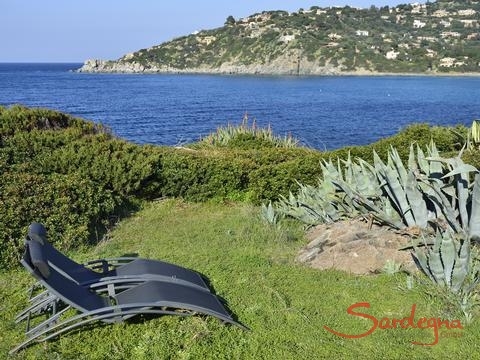 It is nestled in a romantic garden left to its natural state with Mediterranean vegetation and olive trees which borders the sea on its outer edge. The covered terrace of the Villa becomes the central point of the Mediterranean lifestyle with a barbecue for grilling in the summer nights while enjoying the star sprinkled sky. 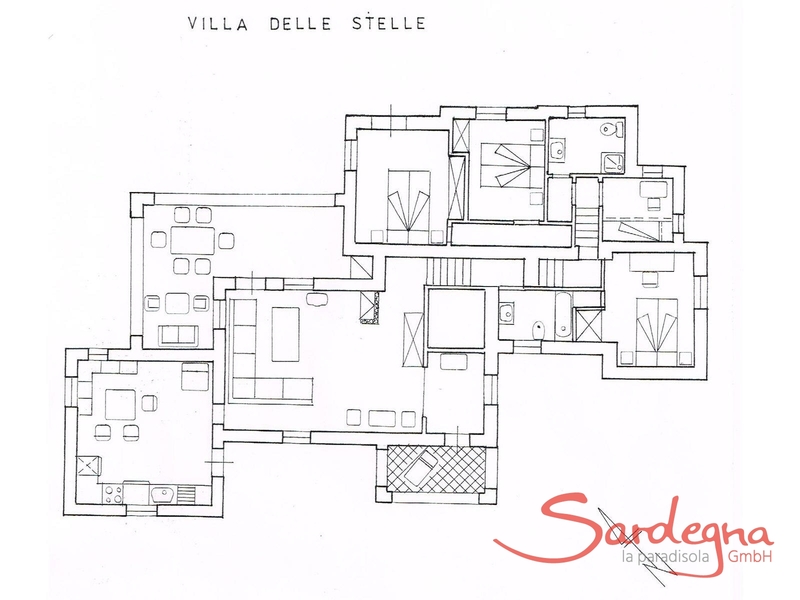 Villa delle Stelle has a surface of 130 square meters, divided into two levels. 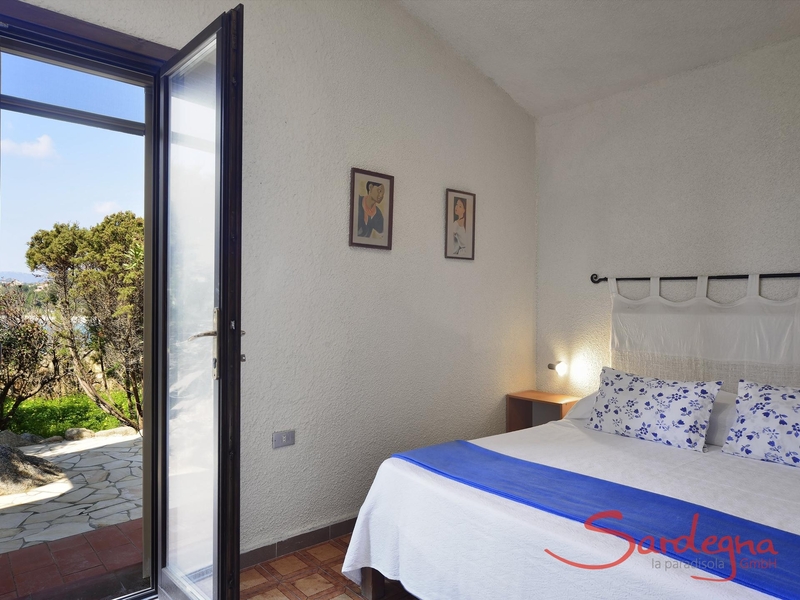 With two bathrooms, three double rooms and one single room it can host up to 7 people. The large living room is equipped with comfortable furniture and a fireplace. The kitchen, spacious and well equipped has a dishwasher., also the washing machine is not missing.Markets, restaurants, excursions and culturea small supermarket is just 1 km away, managed by Mrs. Palmira who still sells self made “fresh pasta". 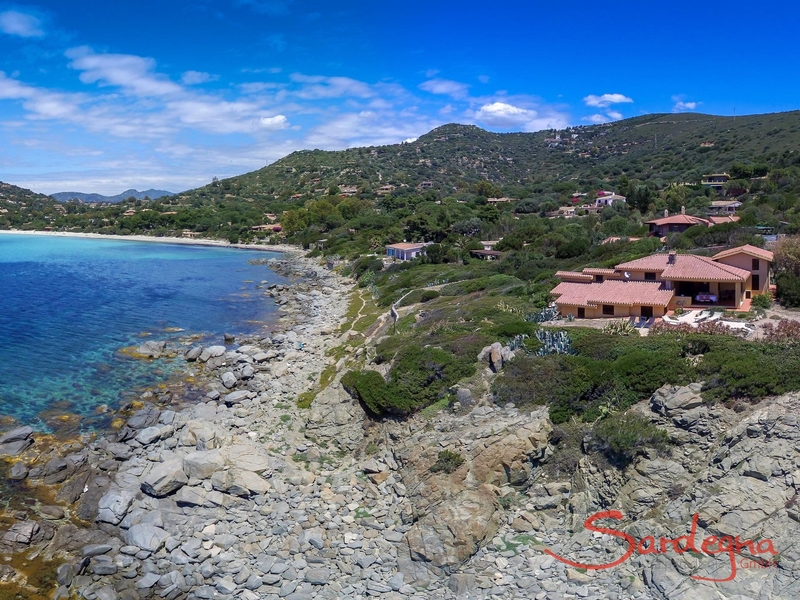 In Torre delle Stelle there is also a diving school reachable by foot and more than one restaurant. The nearest to you is "Il Saraceno", open all year. 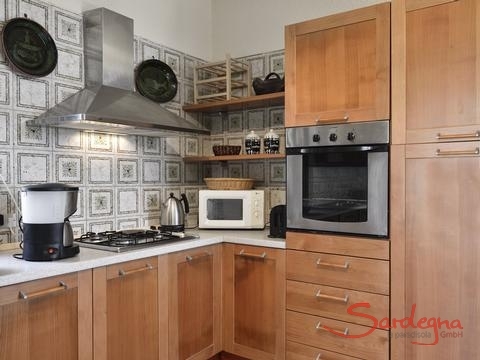 Cagliari, the capital of Sardinia is just “a jump” away (about 20 minute drive) and is worthwhile a visit, if not only for its excellent restaurants also for its famous Opera House, or one of the many museums and historical sights. 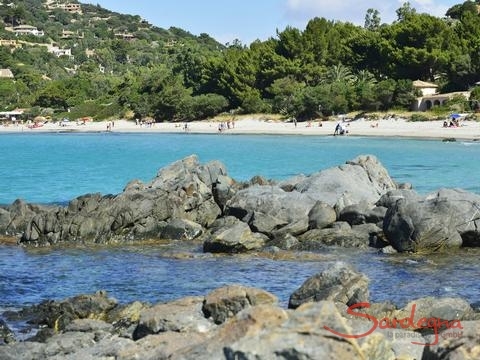 In the nearby area, you can go hiking and there are many places to see, for example the beaches of Solanas, Porto Sa Ruxi and those of Costa Rei. A good way to explore the coast with its wonderful beaches is also by boat. 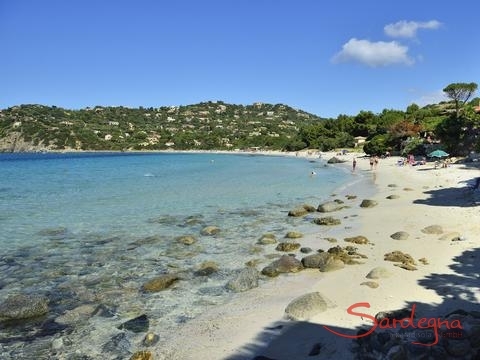 You can find boat rentals in the harbour of Villasimius, a lively small village that deserves a visit with its numerous shops and boutiques .